The SmallHD 702 Touch 7" On-Camera Monitor features an IPS LCD display panel with a resolution of 1920 x 1200. The IPS touchscreen provides a wide off-axis viewing experience without significant shift in color or contrast. The panel also features a maximum brightness of 1500 cd/m², which makes it more than well suited for use outdoors. 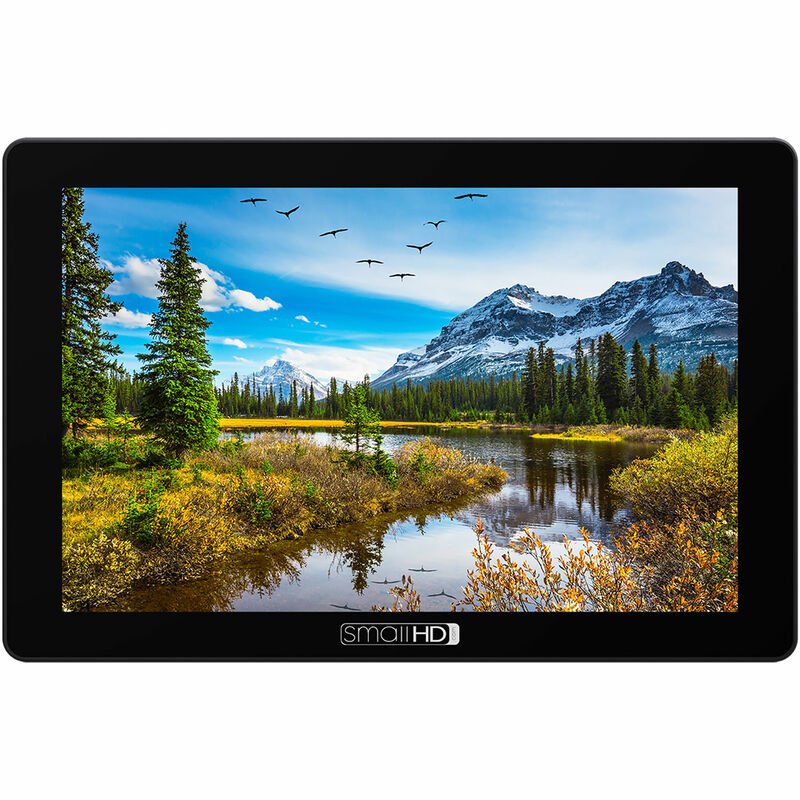 The touchscreen capability of the monitor facilitates using the SmallHD OS3 software package that allows you to create looks and save them as pages. Interchangeable battery plates allow you to use the battery of your choice. However, the monitor ships with two L-series battery plates. The 702 Touch incorporates 3G-SDI and HDMI inputs and outputs, as well as a headphone jack for monitoring audio. It also has a store of monitoring features including waveform, custom LUT support, anamorphic de-squeeze, and audio meters. OS3 offers the same intuitiveness of a graphical user interface (GUI), though with touchscreen navigation. Rather than have confusing menus, this GUI allows you to selectively apply monitoring tools such as waveform, vectorscope, and focusing aids to up to 12 different "pages". Using the touchscreen, swipe through different preset pages and toggle monitoring tools on or off with ease. Can this cross-convert HDMI/SDI or vice versa? Yes it can. The SmallHD 702 Touch has HDMI/SDI cross-conversion. Does it have a hoodman option?